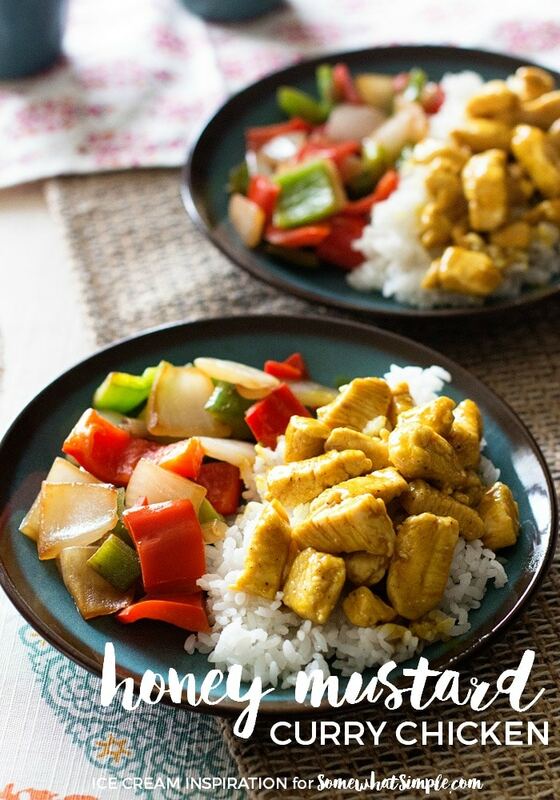 This honey mustard curry chicken is easy to prepare and tastes amazing! 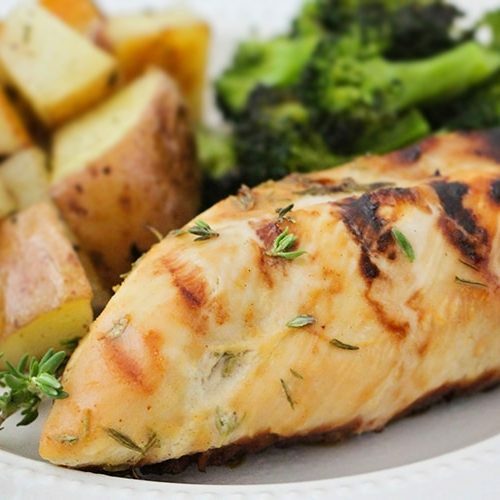 I just love how versatile chicken is and how it can be tailored to meet the tastes of even the pickiest eaters. 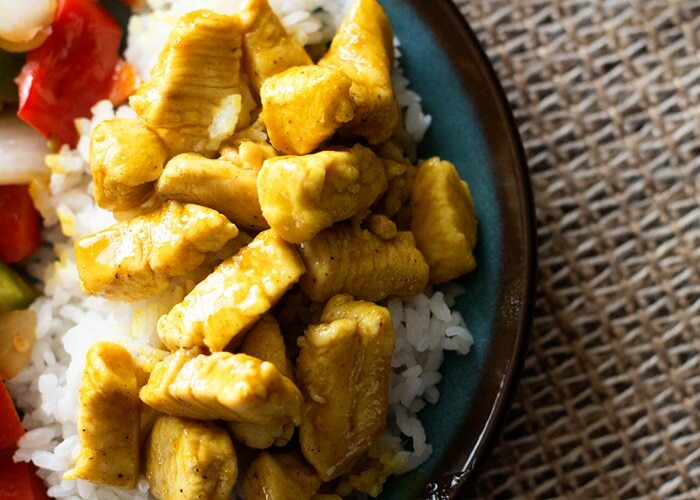 And if you have picky eaters, this Honey Mustard Curry Chicken is just the ticket. You had to wait a whole hour. The juices from the chicken came out while baking and diluted the flavor of the sauce. 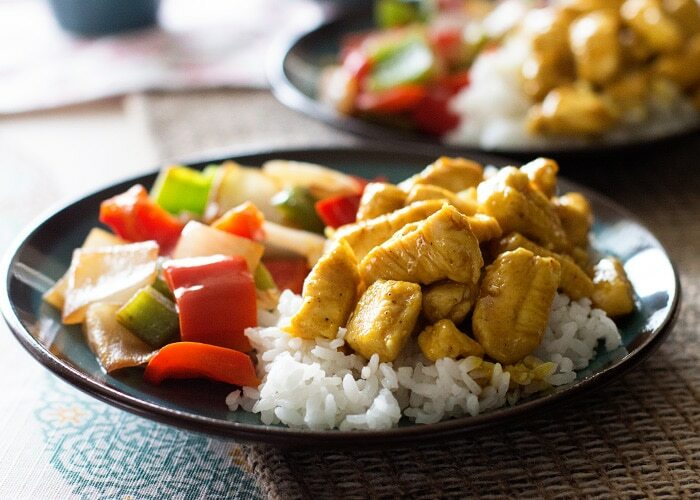 To fix both of these problems, I decided to stir-fry the chicken and cook up the sauce in a little pan on the stove. 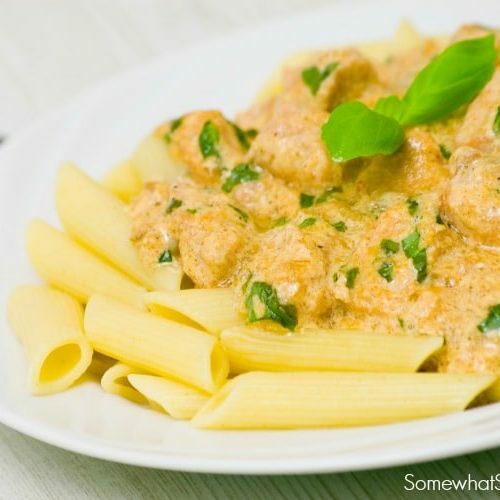 I then added the sauce to the chicken just before serving and the result is a tender, delicious chicken that you simply can’t resist. If you have picky kids, adding sweetness to your recipes usually gets them to love anything you serve. That’s where the honey comes in! The honey in the sauce will have everyone asking for more! 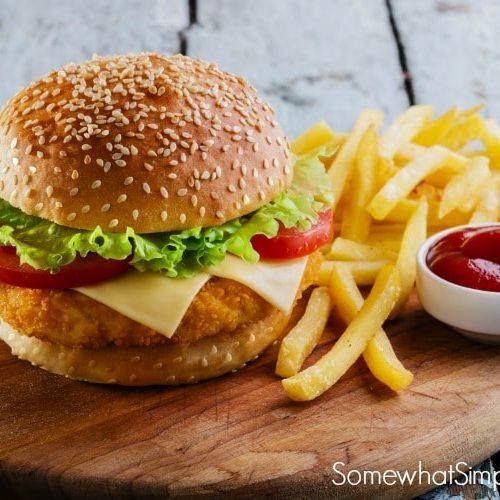 2 very large or 4 regular-sized chicken breasts, cut into bite-sized pieces. Press pieces of cut chicken between two paper towels to remove excess moisture. Stir fry over medium-high heat until no pink remains in the center. Salt and pepper as desired. Remove the pan with the chicken from the burner. Melt the butter in a small saucepan on the stove. Add the honey and mustard and stir. Pour the sauce over the cooked chicken and serve. I hope you enjoy this meal as much as we enjoy it in my home!